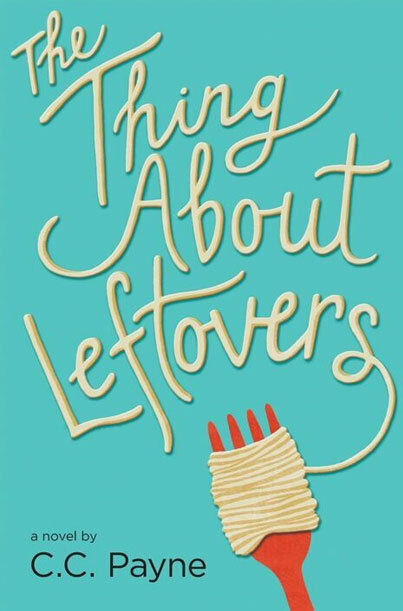 The Thing About Leftovers, a novel about navigating divorce and blended families, following your passion, and celebrating who you are, will be released by Penguin Young Readers on July 19th! In preparation for that, I’ve been doing interviews, during which I’ve been asked some great questions! So I thought I’d share a few of those questions and answers here, as well as give you a little behind-the-book look! Here goes! Q: Why did you write The Thing About Leftovers? A: I grew up in blended families, so I know that even under the best circumstances, when everybody’s trying their hardest, it can be difficult (for every family member). I’m not alone. I’ve read that more than 50% of marriages end in divorce, while 80% of divorced parents remarry within two years. So millions of people are living in blended families. Some of those people are kids. And some of those kids feel alone, scared, rejected, worthless, unloved and/or unlovable. Most of them can’t see past today. I wrote the book to let those kids know that they aren’t alone; they aren’t worthless or unlovable, and that it WILL get better. I also wrote hoping the book might inspire honest conversation between primary readers (kids) and secondary readers (parents and stepparents). And finally, I know what a huge, lifelong impact a special teacher or librarian can have on a kid—I hope this book helps them to see some of these kids more clearly and have an even greater impact on them! Q: Can you tell us about the tone you’ve created in this novel–and in your other novels as well? A: I think there’s always hope. And I think humor always helps. And those things are necessary, because I’m very honest with readers. I don’t try to minimize or gloss over the hard stuff. I try to let the protagonist tell the story the way she would tell it to her best, most trusted friend, if they were holed up in her bedroom late at night, sharing secrets… and a tub of ice cream! In my experience, ice cream always helps, too! Q: Were any of the characters especially difficult to create or write? A: No, because even though they’re all different and they go about it in different ways, they all want the same thing: love, belonging, family. 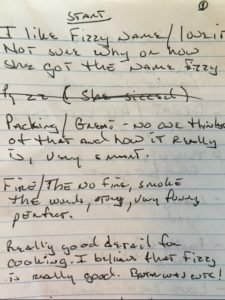 Q: What makes Miyoko and Zach so important to the story? 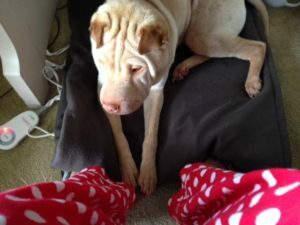 A: I truly believe that one loving, loyal friend can see us through. Fizzy, Miyoko and Zach are the kinds of friends that see us through. Q: “I was the knot that tied two people who really, really wanted to be untied,” so clearly explained Fizzy’s feelings as a child of divorce. Can you tell us a little more about that? 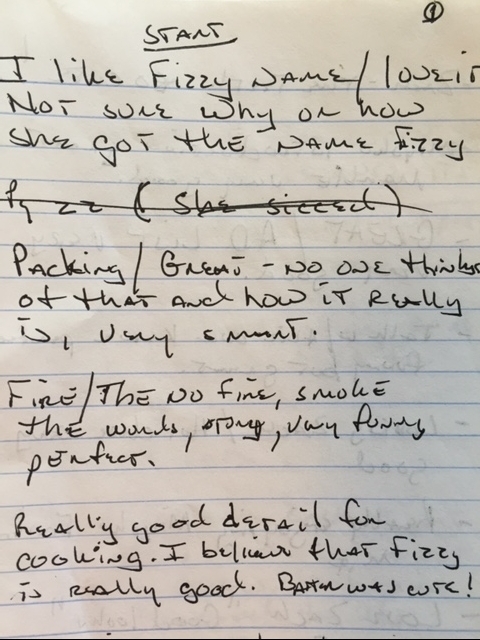 A: Fizzy feels guilty for… existing. She sees herself as a major inconvenience in her parents’ new families and lives. So she makes herself as small and as unnoticeable as possible. If she’s not doing anything wrong or bothering anybody, then nobody has a reason to complain about her or mind her being there—as much—that’s her thinking. But different people react different ways. Some kids try harder to win the attention and affection of their families. Others seek attention and affection outside the home and family. Still others decide that if no one loves them, then they’ll give people reason not to love them; they rebel, trying to appear as though they don’t need or want love at all…but we all do. 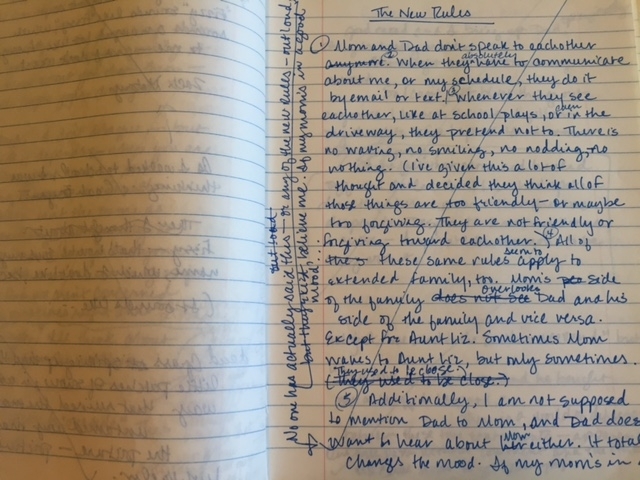 Q: Obviously, this book is going to be important to broken and blended families, as well as to families on the edge of brokenness (in that they can look farther down the path they’re on) but the novel also resonates deeply with readers who’ve never experienced these things personally; why do you think that is? A: Like I said, we all want love and belonging, so we can all relate to characters who want those things, too. Most of us can relate to the trials and tribulations of middle school–hormonal mood swings, pimples, mean girls, gossip, etc. And most of us can relate to having big dreams. Q: Speaking of dreams, what advice would you give to other writers? A: Don’t give up! I wrote two unpublished novels and collected well over 100 rejection letters! I almost gave up. I thought about it. I cried about it. I prayed about it. Then, my third novel was plucked from the slush pile for publication by the very first publishing house I sent it to! 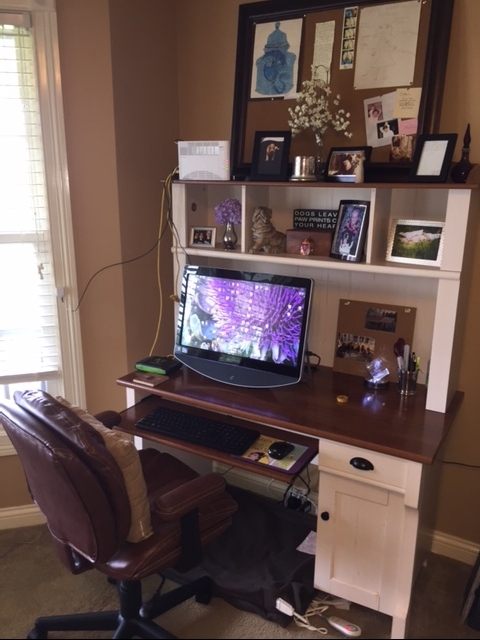 Q: Can we see where you write? The electric blanket under my desk is where my dog, Peach, sleeps while I work. I’m so excited to get to work in the mornings that I can’t be bothered with dressing for the first few hours! Q: Who is your first reader? 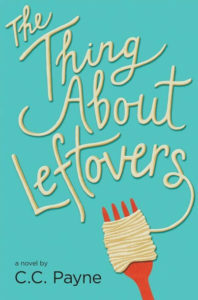 Happy book-birthday month to The Thing About Leftovers!